“It can only take a few moments for a child to slip away unnoticed, fall into the water and drown”, said Justin Scarr, CEO at Royal Life Saving Society – Australia. “Drowning is often quick and silent. 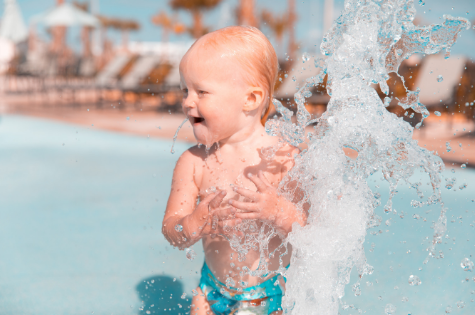 Distractions like browsing social media on your phone, attending to another child, or ducking inside to grab something can have tragic consequences if a toddler is left unattended by water. It’s important for parents and carers to take extra safety precautions. Always Keep Watch of children around water” said Mr Scarr. “Active supervision is the best protection against child drowning, however kids can be quick and hard to keep up with so it’s vital to fence pools and spas to prevent children gaining access. Regularly check that your fence and gate are in working order, and never prop the gate open” said Mr Scarr. “These figures are horrifying, and while we have seen the rate of unintentional fatal drowning among children under five decline by 67%, it is still unacceptably high” said Justin Scarr, CEO at Royal Life Saving Society – Australia. “Such reductions have been possible due to a concerted effort in areas such as government policy and enforcement, public awareness and education programs such as Keep Watch, advocacy and research. The introduction and subsequent strengthening of pool fencing legislation, including the introduction of swimming pool registers and inspection regimes, has contributed to making the home pool environment safer for young children,” said Mr Scarr. “If the rate of drowning we had twenty years ago, continued today, there would have been 70 deaths, more than four times the 18 young lives lost last year. This is substantial progress, and many lives have been saved, but we won’t stop campaigning until it is zero,” said Mr Scarr.